On Friday, Meghan and Harry were spotted leaving ilapothecary in London, a shop featuring natural products for wellness. 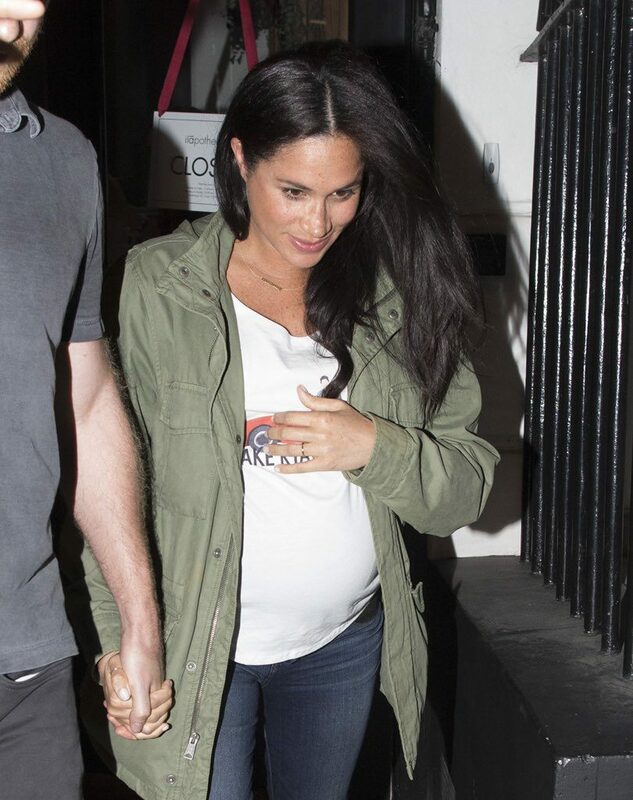 Meghan’s look was glowing as the approaches the due date for the Royal Baby! 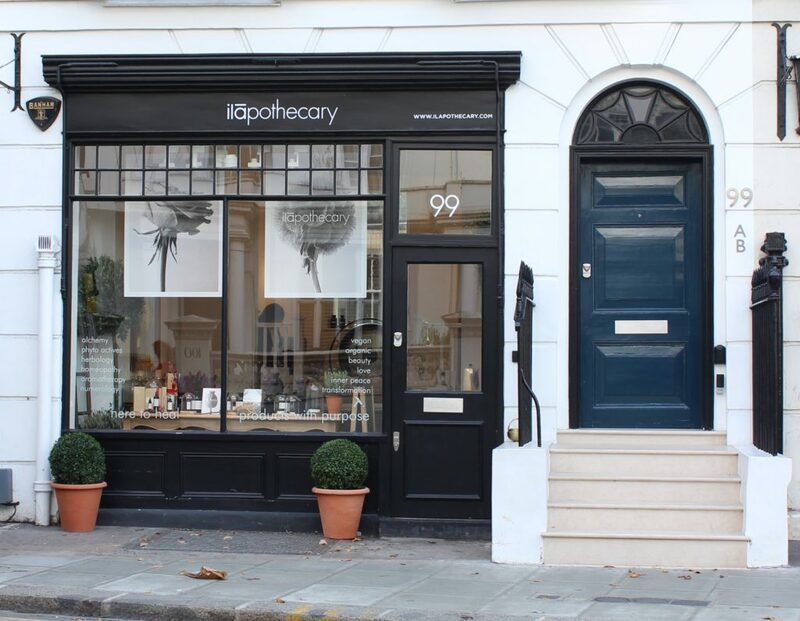 She looked radiant visiting the shop with her husband, and we imagine she enjoyed some of the Apothecary’s relaxing and soothing products whilst inside. 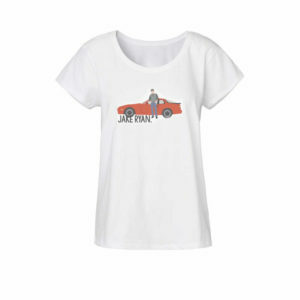 We also couldn’t help but love the subtle nod to a 1980’s classic movie, Sixteen Candles, with Meghan wearing a ‘Jake Ryan’ t-shirt! What did you think of Meghan’s look while out and about in London? Any guesses on Meg’s sneakers? Very cute! Yeah, we need the sneaks! Found! We got hi-res copies of the images and were able to confirm they were ‘Spring Court’ 🙂 Details in the post! I want to know that too! They’re definitely real – we confirmed with several outlets because of the date… April 1st seemed like it might have been a joke! Definitely real – the angles are a little strange in some of the photos, but they sometimes can be in paparazzi shots when they’re captured so quickly and moving fast. We did not license the photos and as such did not post them, but you can check them out on PopSugar! His ears are extremely red, suggesting he was hot. It was chilly at that time on that day in London. Definitely photoshopped. We are very sure the photos are real, but appreciate that they look a little strange at some points/angles – paparazzi shots sometimes capture odd moments in time. We have been in contact with the photo agency that took them and have seen the metadata attached to them, and it has left no doubt in our mind that they were taken when/where they were said to have been taken. I signed up on Instagram so I could follow the Sussex’s and now I’m following Meghan’s Mirror too!! 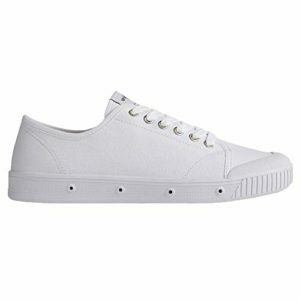 The sneakers may be Spring Court. Thanks for the tip – you are correct! Thanks for the heads up!!! 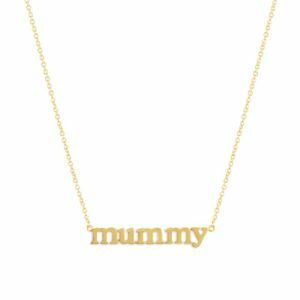 I like everything except the ‘mummy’ necklace, which I think is not very nice and I cant understand the draw to want to wear something with such a banal statement. Agree it is a bit hackneyed but she wears it a lot!